Renegades X2Twins are the new Kings of Australian Fortnite. 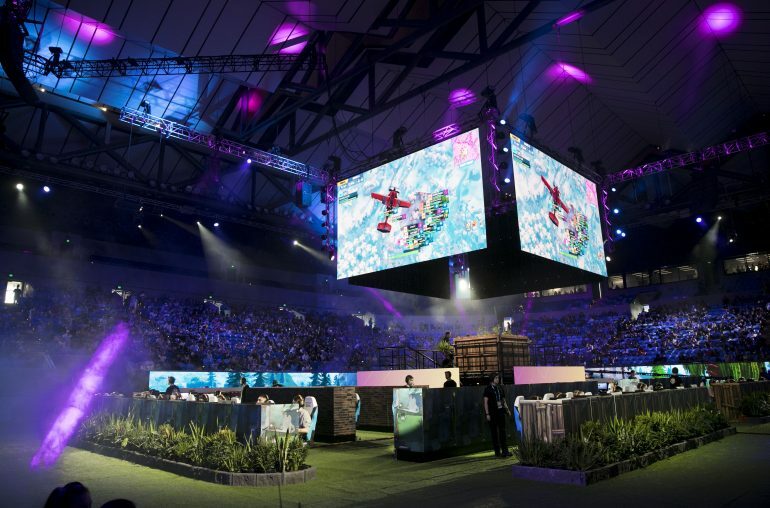 The Australian Open played host to Australia’s first major Fortnite event over the weekend where players battled it out for a slice of $500,000 AUD ($357,000 USD). The event kicked off on Saturday where 500 players went to battle to make it to the top 100 finals. There was no shortage of international talent, with Benjamin “DrLupo” Lupo and Jon “Fallout” Kefoluokos flying in to cast the event alongside, and Australian personalities Ben “Sandman”, Jordan “Elfishguy” Mays and Kori ‘Vandie’ Bassi. The oceanic region did not disappoint in their first Fortnite showing. Fans might have been expecting dominating antics from MrFreshAsian. It was his teammates, however—the X2Twins—who ended up stealing the limelight. Jesse Eckley, one-half of the X2Twins, walked away with the $100,000 AUD and was crowned the King of Australian Fortnite. There were some incredibly close games, including this one in game three up against MF Vince. In the end, it was three victories for Jesse which put him into first place. There was only one team, Corvidae, who had two players in the top ten. Araki, claiming second place, secured $50,000 AUD and Jynx, in sixth, took home $25,000. An incredible effort for an event that put them against the likes of Renegades, who had their entire team competing. In the Pro-Am event, MrFreshAsian certainly delivered on the expectations from his fans with a dominating display that secured $50,000 AUD donated to the charity Water, which is dedicated to ending water crises globally. The money will go towards providing water for millions of families across the globe. If you missed out on the games, you can catch up on all of the action through the Australian Open Youtube Channel. We suggest keeping an eye on Jesse and his strategies—it could be you taking home the next Fortnite Summer Smash.